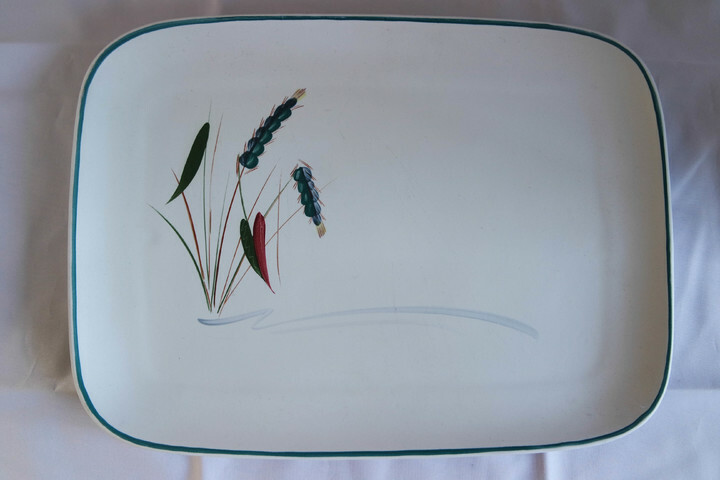 A large rectangular stoneware platter in Denby Pottery's ever popular Greenwheat range. It measures 13.75" x 10" (350mm x 255mm). It is in very good condition and signed by A Colledge. Denby Pottery first produced Greenwheat in 1955 and production ceased in 1976.